Over 60 years ago VELUX started making the world’s leading roof windows. And they’re still going strong today – with innovation and sustainability at the heart of what they do. VELUX say their windows keep heat loss to a minimum. They make the most of solar thermal gain and maximise natural daylight and fresh air. They also say that using their windows on their own or together with their solar hot water systems will help your customers reduce their fuel bills and CO2 emissions. All sounds pretty straightforward and it seems their aim for the future is simple too: to continue to help create healthy buildings that are great places to live while offering real value for money. So we know they’re innovators but what’s new for 2011? The new CO6 size window (55x118cm) with 75% more glazing than the CO2 size. Available with centre-pivot in pine or white. Tested and certified to ENV 1627 and BS 7950 their GGLQ variant window provides enhanced security to comply to Secured by Design requirements. A must for security conscious home owners. The new slimline design on their manual roller blinds lets in more light. With a 38% slimmer top casing the amount of daylight coming into the room is increased compared to the existing design. The new flat roof extension kerb (ZCE) allows installation on warm or sedum roof constructions. Keep the air fresh with their new flat roof smoke ventilation window (CSP). Available in two sizes 100x100cm and 120x120cm it’s supplied with insulated wooden kerb and Centre-Pivot window made of high-quality natural pine with clear lacquer finish. This innovative product has been revamped in partnership with the internationally acclaimed designer Ross Lovegrove to create a new look for the interior element of the existing VELUX Sun Tunnel. Launched in 2005 the Sun Tunnel brings natural light into even the darkest and most isolated spaces through a specially designed tunnel from roof to ceiling. The new add-on acts as a daylight lamp that uses the sun as a bulb. This offers previously dark rooms a beautiful natural light reflectance while allowing the user to adjust the spread of the light. Posted by Roofteq - For All Your Roofing Needs on September 7, 2011 in Velux. The Quote and How Much Will It Cost Me??? Your Quote Is The Best Part Of All. An honest assessment of your roofs condition and highlight any foreseen problematic areas. Provide you with the different options for repair or or replacement of the necessary roofing materials. List an associated trade services for example, work such as replacement timbers, or brick/stone work. We will ensure you are fully versed in all aspects of the proposed work and materials involved. We will provide this in writing by quotation in as much detail as expected or required. We believe there should be no unpleasant surprises and where at all possible we will deliver our promise, if something is discovered deeper into the fabric of the building that could not been foreseen in the initial inspection we will not go ahead until we gain the clients up-most approval,so you see exactly what you are getting for your money. Roofteq being a very fair and realistic company understand this and want to point out it may not cost as much as you think. 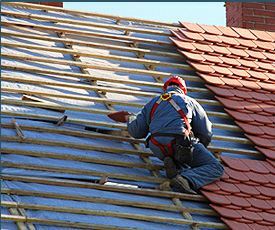 In many cases the big job may be a case of a few simple repairs, which will eradicate the problem, however should the job be larger and for example you do need a new roof and money is an issue then we maybe able to delay the work with spot repairs until such time as you have organised the necessary finance. There are however some basics to remember, it is false economy if your roof is leaking, and you don’t do anything about it, it will almost certainly cost you more in the long term if the leak isn’t repaired quickly. Whatever the decision is, before we commence any works, we will agree with you all costs and payment terms before starting the job. We will not ask for any up-front payment to cover the cost of materials, although we may request stage payments throughout the course of the project (dependent on project size and prior customer agreement) with the balance due on completion. Posted by Roofteq - For All Your Roofing Needs on September 6, 2011 in Cost ?. Roofteq has identified clients find it hard to choose when selecting a reputable contractor for roof maintenance and repair to ensure the results are right first time and the job and site are left they way they require. Roofteq has believes that a first class job should be one that reflects the quality of materials used and one that should be a return on the clients investment that serves the client well for many years to come. Quality doesn’t always have to come at a cost as Roofteq are at the forefront of technical excellence when it comes to roofing processes and materials. Roofteq ensures local suppliers and materials are sourced again to ensure the overall job cost is value for money and any savings are passed onto the client. So whether you are looking for use for a roofing professional to identify anything from a small roofing problems or repair to a full strip and re roof of your premises then ROOFTEQ is the one stop shop for roofing services in Hamilton and the surrounding Lanarkshire area. We have grown a reputation through referral business “satisfied clients” that sees us traveling yet further afield into Glasgow, Stirling, Perth, Dumfries, Borders, etc. Posted by Roofteq - For All Your Roofing Needs on September 5, 2011 in Tradesmen and tagged Down-pipes, Felt, Felting, Gutters, Ridges, Roofer, Roofing, Sates, Seal, Sealing, Slater, Tiling, Verges.